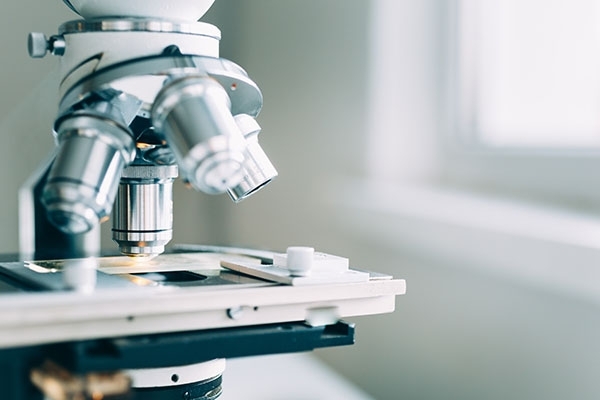 When people think of microscopes, they usually picture a scene in a hospital or perhaps a laboratory, with a doctor looking through the eyepiece and studying various samples, in the hopes of determining what disease the patient has. And while there’s nothing wrong with this picture — medicine and medical research are two of the most famous applications of microscopy, after all — it’s a little limiting. There are various applications of microscopy in the modern world, especially now that there are automated, digital microscopes that have become more and more powerful over the years. With the help of motorized XY microscope stages, these tools have also become more precise in terms of positioning and focusing on the sample to get the best quality of images. Here are just a few fields that benefit from the power of modern microscopes. Most of the evidence collected in a crime scene cannot be viewed properly without the aid of a powerful microscope. These pieces of evidence include gunpowder residue, bits of glass, dirt and soil, blood and other body fluids, human and animal hair, feathers, and even pollen grains. Microscopes help with the identification and analysis of these substances, and even in the collection of more pieces of evidence. More importantly, with the processing and identification of these microscopic objects, the authorities can capture the culprit, prove a person’s innocence, or even overturn a previously guilty verdict. You’ve probably had your first encounter with a microscope during grade school, when you were studying the structure of a leaf or the body parts of an insect. But beyond these simple topics, a microscope can also be used to study crystalline structures of minerals and compounds, discover various organisms that can exist in a single drop of water, and even see up close how animal hairs are different from one another. Seeing these specimens live, as opposed to seeing them in a picture on screen or on paper, also makes the educational process more engaging. This may help students be more interested and participative in their various classes. Researchers can learn much about the health of an ecosystem simply by studying a small sample of water, soil, and other substances derived from that environment. From there, they can cooperate with various agencies to restore or preserve the ecosystem, benefiting not just the organisms living within it, but also neighboring locations. On the other hand, environmental scientists — like geologists, hydrologists, and oceanographers — use microscopes to test different soil and water samples for the presence of contaminants that will affect the quality of life and humans and potentially kill off plants and animals if left unmanaged. Microscopes are used in all manner of applications in biology, the study of life and living organisms and their structures, including individual cells and genes. Studying these microscopic elements, scientists are able to understand how the human body works, giving them insights on how it will react to various stimulus and substances like medicines and nutrients (or the lack thereof), among other things. Apart from knowing which traits a person can inherit from their parents, genetics can also be used to study the structure and function of genes. Researchers can also study how these genes are affected by the absence or presence of some elements, as well as how they change over time. This makes genetics an important part of medical science, since it provides a clearer picture of the relationship between genetic variations and certain diseases and disorders. Studying the genetics of animals can also pave the way for researchers as they discover cures for various diseases. For example, studying genetic structure of lizards and how they can regenerate their tails can help pave the way for more effective limb transplants, advanced tissue and cell culture, and other related medical discoveries. Microscopes have come a long way from simple tubes and a couple of lenses. With the help of technology, these instruments have evolved to become useful tools in various fields that advance knowledge and improve human lives.